In general, mineral rights are a type of property estate ownership that allows an owner to exploit an area for the minerals it harbors. An individual who owns mineral rights has the ability to mine and/or produce any or all of the minerals lying below the surface. Mineral ownership can sometimes be severed from surface ownership. This severance can be accomplished with a conveyance or reservation of these rights. This conveyance or reservation includes minerals or substances considered minerals. Mineral rights include hydrocarbon resources such as oil and natural gas, which are not technically minerals, since a mineral is technically considered a naturally occurring crystalline “solid.” Nonetheless, from a legal standpoint, oil and gas are typically lumped together under this one term. Such a conveyance or reservation includes royalties, bonuses and rentals. In the absence of such a conveyance, the surface owner retains the rights. · The right to receive royalties. 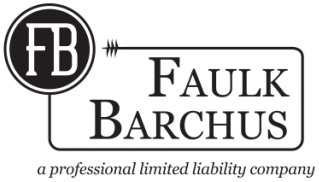 At Faulk Barchus, we represent current land owners and possible mineral rights holders in ownership disputes. We understand the value of mineral rights and the stress that accompanies the burden of determining who these mineral rights truly belong to.